Click here to download the starter pack – 6 tools in one pdf bundle suitable for all levels of innovation expertise. Find out how to improve your Collaboration Quotient, design an energising collaborative workshop, find new partners or technologies, create new business collaborations and more. Open Innovation just got easier! Download your starter pack now to receive 6 free tools to get you going fast. 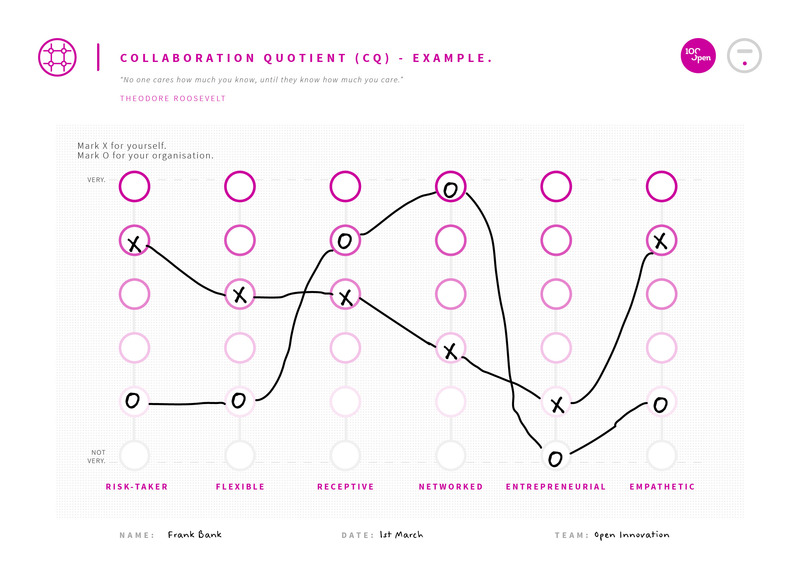 Collaboration Quotient (CQ).Give|Get.Interesting Question.Jam Behaviours.Jam Designer.Network Builder. The Collaboration Quotient (CQ) tool is a ready-reckoner that explores the aptitudes that are needed for successful open innovation. By comparing the CQ of an organisation and its people you can examine any differences and start to think about culture change or training programmes needed. Collaborative innovation is only possible when what each partner gives is balanced by what each gets. 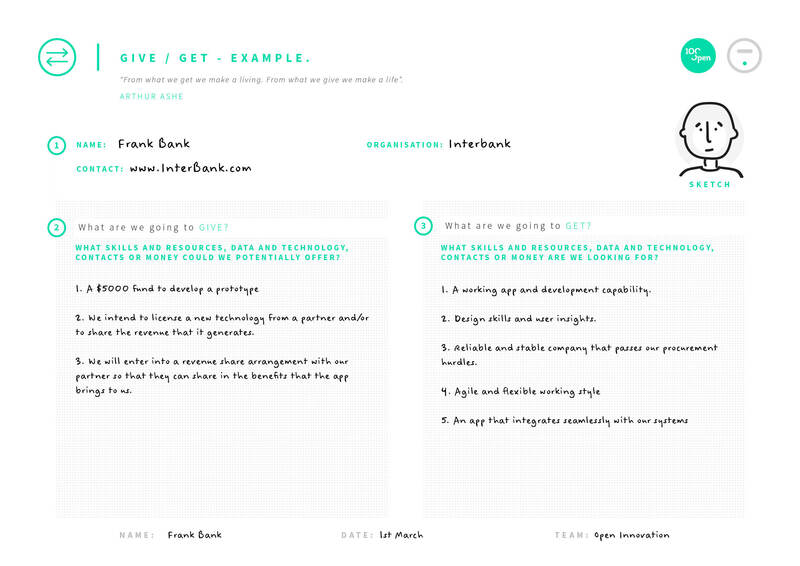 The Give|Get tool helps us define what our business offer will be to potential partners and what we will expect in return. 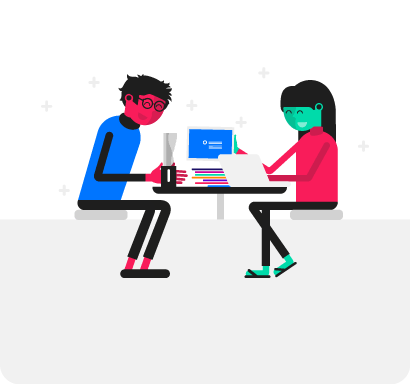 The Interesting Question tool gives us the principles and process for creating crowdsourcing challenges that are based around clear, compelling and communicable questions. This tool helps us communicate and encourage collaborative behaviours in a workshop. 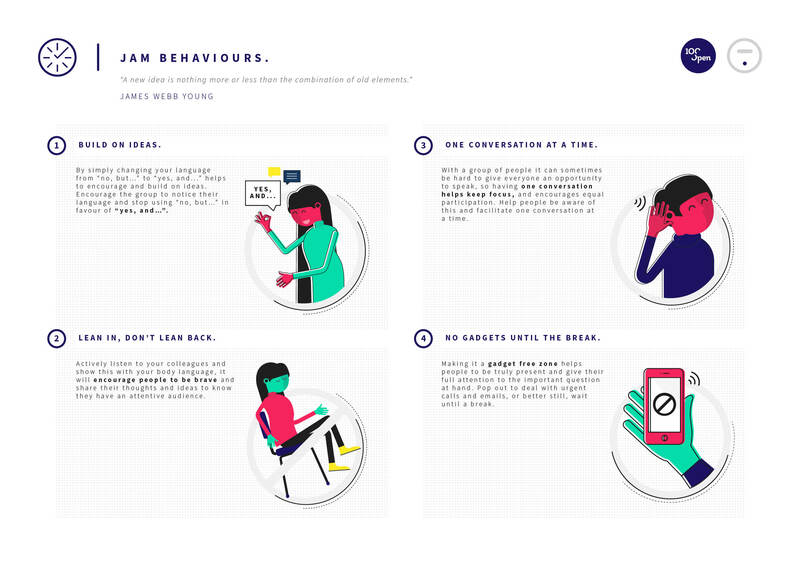 Observing the Jam Behaviours will help get better ideas and teamwork and ensure people have a positive experience as well as a creative one. 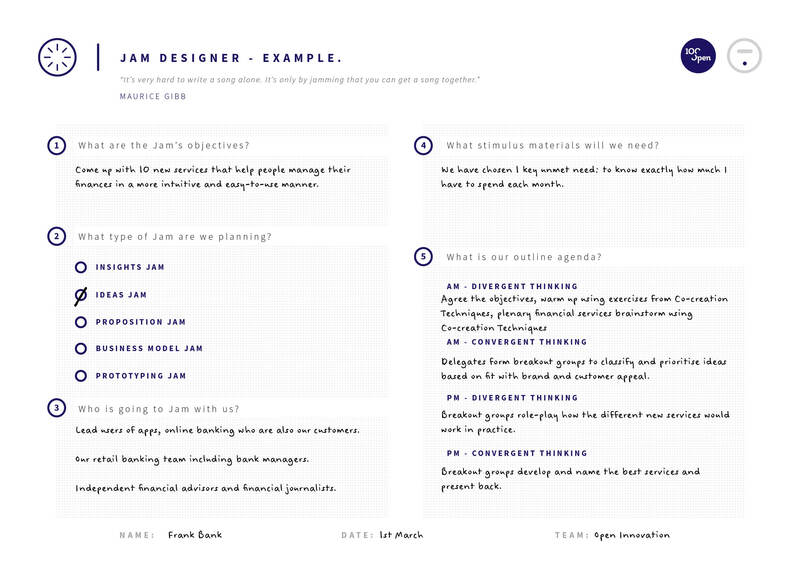 The Jam is a collaborative style of workshop that deliberately mixes diverse people and disciplines to find new powerful hybrid ideas. This tool is a ‘how to’ for planning a productive and creative session for new ideas, propositions, business models or prototypes. Getting colleagues or partners involved in a Jam also helps get buy-in and maintain momentum throughout the innovation process. 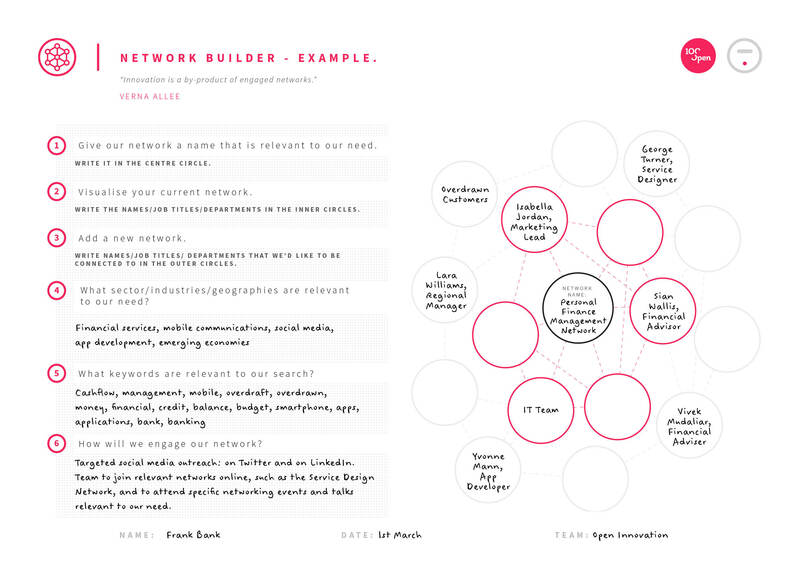 The Network Builder tool helps to design relevant and bespoke networks that support successful open innovation. In order to mobilise the outside world to innovate with us we need a map of where to seek help and how the innovation ecosystem is connected up.